Do you want to develop your skills and grow your confidence? But find it hard to make time? Are you feeling stuck in a rut? Like you know where you want to get to but you’re not sure how to get there? Do you want to develop at your own pace in your own time? Do you want easy to access, good value self-development that connects you head, heart and gut? Jenny’s online training, the Happenista Project, was created for busy women like you — designed to help you grow and develop personally and professionally in as little as 10 minutes a day. You’ll also benefit from being part of a supportive network of like-minded women. Jenny developed the Happenista project using her years of experience from personally coaching hundreds of women and seeing what works for them. It’s a 12-week online empowerment coaching course, with weekly video interviews with experts and weekly challenges and activities. There’s also a monthly call to keep you on track and the option to join a secret facebook group and surround yourself with other likeminded, ambitious, women who support and challenge each other. You’ll learn the most up-to-date proven strategies, tools, and tactics to help you achieve and surpass what you thought possible for your life. Unlocking your passions, dreams and purpose to make things happen for you. 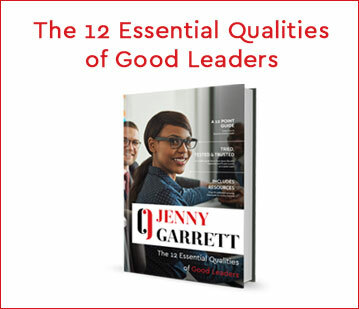 Join Now – Lead yourself to success with Jenny’s Online Training. For organisations we offer a license for all of your female staff to access this programme. Please get in touch for more information. – As a result of the online training staff feel more engaged and valued, resulting in increased performance and reduced absenteeism. Short chunks so I can fit it in to my busy schedule easily. Actionable and motivational. Really incredible support network with the secret Facebook group and extra webinars available from Jenny's website. Highly recommended. Good and practical tips to easily put into everyday life. For me it would be helpful to be able to download the resources on my mobile device. A great course, good value for money! Thank you so much for the Happenista Programme. I'm learning so much from it, it's such a blessing! I'm also making contacts through the links there. Chatting with you and watching the videos has helped to open my mind a lot more to my vision (and where I want to take it to) and I'm going back to the drawing board (again) but this time with greater clarity and a better sense of direction.